Happy Monday! 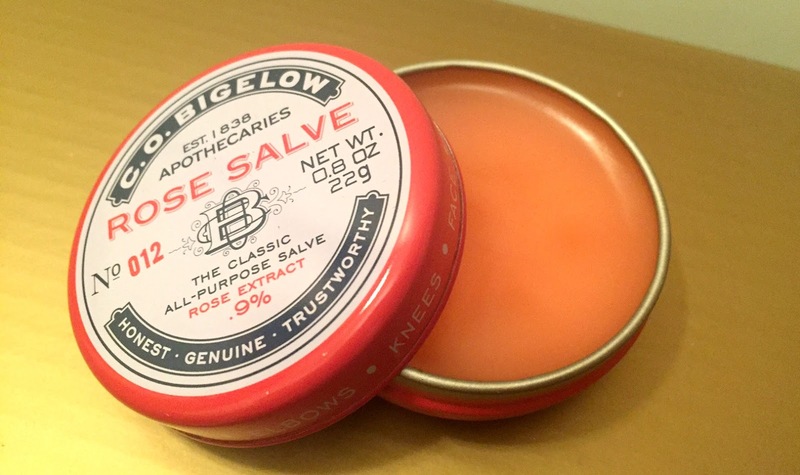 Hiding away in draw number 7 of this glorious advent calendar is the C.O Bigelow Rose Salve. The full sized tin houses the rosiest, loveliest salve that can be used on everything from your lips to your toes. Patrolatum (like Vaseline) and Lanolin based, the salve contains '9% Rose Extract' and has a proper, true rose scent, which I personally like quite a lot. The C.O Bigelow Rose Salve is £8.50 at Liberty and shall be spending the winter at my bedside and in my coat pocket.